Working crazy-hard on a project.. Resumed fishing Oct 22 when sea bass reopened. The reservation book is open to sea bass trips until after Thanksgiving. Not sailing Nov 5th & 6th - nor Thanksgiving Day itself. Also making Sunday, Nov 12th, a long trip. Well, yes. Dern Few & maybe a dandy.. But I will be targeting sea bass! Sailing Daily For Sea Bass Starting Oct 22 - Weather Permitting - Saturday's 6:30 to 3:30 - $125.00 – Otherwise 7 to 3 at $110.00.. ARRIVE 1/2 HOUR EARLY! We'll want an early start. Pretty rare for me to get home on time..
Super jammed up with a major project, an abbreviated fish report for sure.. Fishing was quite enjoyable. A mixed bag Sun & Monday with more limits of sea bass on Monday.. Fluke bit surprisingly well also, but that bite may well be shut for the swell. Trying to fish daily, weather-man's having no parts of it. Still, the weather Friday & Saturday looks especially inviting. 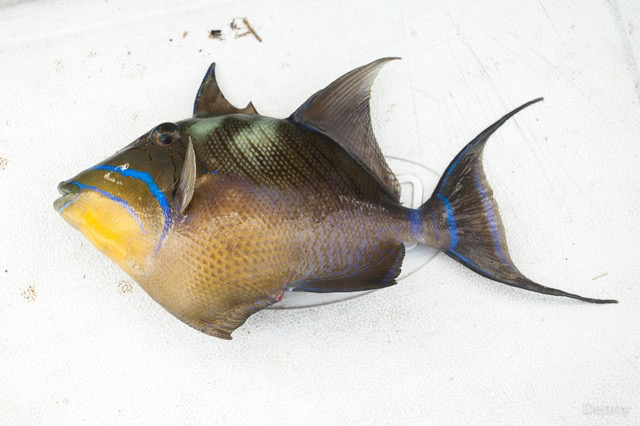 Only the second one I've ever seen up our way; this queen triggerfish swam away with an ALS tag.. I've included my last report. Writing a few short simple letters is crazy way more than many anglers will do for fishing all their lives.. Always more who lean than lift. Then too, there's a lot of truly important work to be done. I truly believe, however, recreational fishing's woes have created a solid smoke screen through which we cannot see our true tasks. Ocean water quality & marine seafloor habitat aren't on any regulatory body's radar. If you have time to fight for fairness in recreational regulation -- Please Do! Pics by Nick Denny from Monday.. Looking forward to getting back to sea! For now, something else - life in general sort of work. It's even cut into my advocacy work, despite that this is a crucial time. I believe, now more than ever before, a case can be made to the Secretary of Commerce, Secretary Ross, that MRIP's recreational catch estimates are destroying the economic vitality of the recreational fisheries from Texas to Maine. Oh sure, you see crowded 4 hour trips in summer. It's the boats who have always depended on year-round access to healthy fisheries who are suffering in this age of draconian overregulation. These regulatory tightenings owe only to MRIP & MRFSS catch estimates showing rec fishers overharvesting allowed quota. MRIP Calculates Shore Fishers in MD, CT, & NY Caught +134,000 Pounds Of Black Sea Bass in 2016. In Delaware, however, they had better bait and Shore anglers caught an Average-Size of 1.9 pound sea bass. New Jersey's Shore anglers, I'm sorry to report, did not cash-in on what must have been a shore-side bonanza for states north & south -- NJ pulled a zero. Following MRIP's very typical pattern, If regulators only allowed shore fishers 2 sea bass at 16 inches in 2018 -- by MRIP's calculation they'd catch more than ever before --a LOT more. Happens all the time if usually in the Private Boat mode: Regulation becomes more restrictive, Private Boat catch blows up ..while Party/Charter falls off predictably. A known drug user you haven't seen in a few months tells you he's just completed 2 years in the Army and is signing back up. You KNOW he wasn't in the Army a few months ago. You KNOW he's completely full of horse-stall muckings..
NOAA -- Yeah, we know, but: USE THAT DATA. IT'S ALL WE HAVE. USE IT. Don't matter everyone knows damn well MRIP's lying like a crack-head. Surely readers recognize that these Shore-caught sea bass estimates are pure fishfeathers. Problem is, so are the rest of MRIP's estimates. For MRIP's estimates to be true requires Boats On The Water/Fish In Coolers. 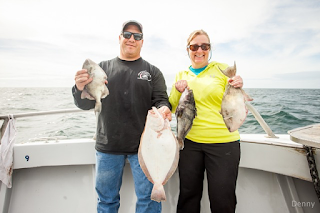 No professional I've ever asked believed, (to offer a single instance--one example among hundreds,) ..no Party/Charter skipper believes NJ's Private Boats landed 96.5% of 2017's May/June NJ sea bass. Recreational "overfishing" given modern regulation from before today's overregulation is not real. It is only an illusion of statistics. Regulation derived from statistical catch estimates are real, however, They are dismantling the For-Hire industry. No, not the 2 hour/4 hour boats, but boats that depend on dedicated fishers who want longer trips & a heck of a good fish fry when it's over.. 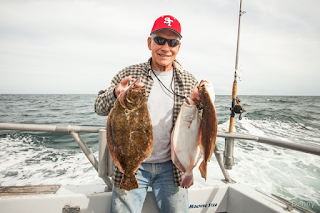 The promise of fisheries management is real - we can make fishing amazing. We're not going to get there from a foundation of fraudulent data. There's no possible way true conclusions can be drawn from MRIP data. It's far-far worse than MRFSS before it. When we've focused of spawning production -- the very most basic aspect of enlivening a fishery -- we shall see success. 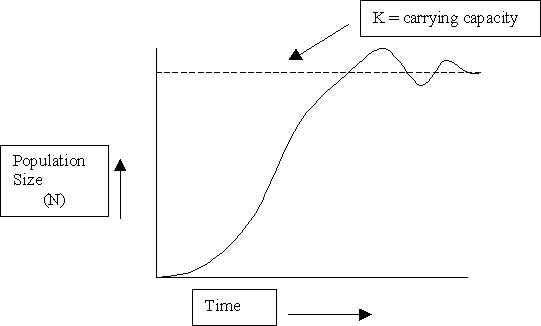 Habitat Carrying Capacity in a graph. A population can only grow to the bounds where habitat still supports it. In college texts they'll often use an illustration where a rapidly multiplying organism's population would grow to the rings of Saturn in a year if not constrained by habitat. So it is with fishes. In species after species after species we see an initial rapid escalation of population as regulation begins ..then that growth tapers. 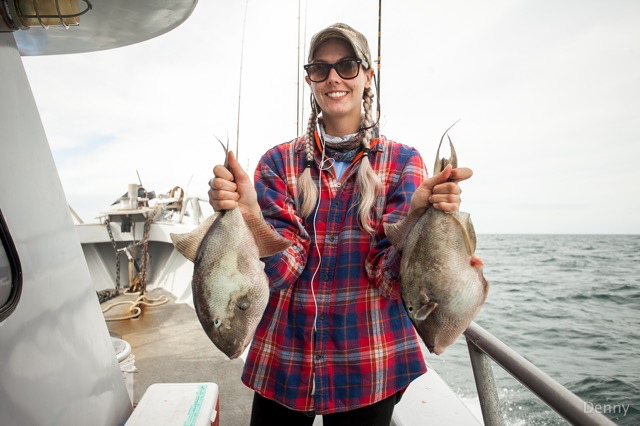 With no focus whatever on marine habitat, NOAA et al maintain catch restriction can continue to grow fish populations; and, in some cases, it can ..but only at the expense of other species. So.. How do we fix it? 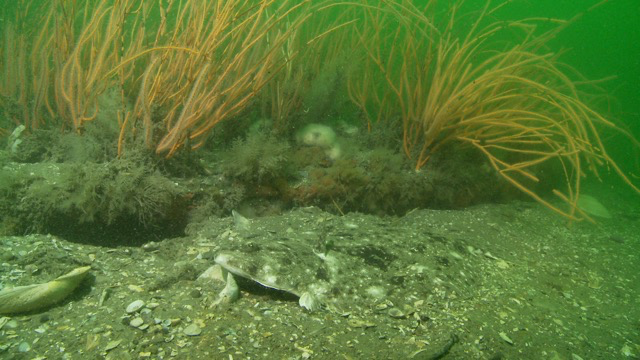 How can we get MRIP off our backs so Ecology & Biology might come to the fore of fisheries restorations? We do not need MRIP's repair right away. That will come. We need managers at Council/Commission level to be able to disregard obviously bad MRIP estimates. NOAA will NOT allow any change from the 'centerpoint' of an estimate. Secretary Ross can change that policy. .
Would be better to address a staffer directly, but I haven't any idea who they are. Someone WILL open your letter & read it. And, a new guy in DC -- but not at all new to fisheries! You Should CC your congressional reps as well -- by mail, but to a field office. If you write directly to DC, and this may be true with letters to Commerce as well, their mail is delayed going through DHS screening..
Printing them and applying a wet signature, perhaps with a note for the poor staffer who actually has to read it is fine..
Do not ignore your state's Governor either; Especially if you live in NJ. These folks all Google easily. Look for the "Contact Us" button. Elected reps are able to help you get heard in Commerce & in DC as well. NOAA's policy of using MRIP 'as-is' needs to change. The Secretary of Commerce can alter our worsening history in the stroke of a pen -- swiftly. M u c h - m u c h - m u c h - s l o w e r - You may also want to support HR 2023: "Modernizing Recreational Fisheries Act of 2017." It has a lot of language I find appealing -- language that applies specifically to recreational data and specifies MRIP be hauled-up before the National Academy of Sciences --AGAIN-- and this time asked: "To Evaluate whether the design of MRIP, for the puroposes of stock management reference points, is compatible with the needs of in-season managemenet of annual catch limits & whether in-season management of annual catch limits is appropriate for all recreational fisheries." Recreational Party Boat Morning Star, Ocean City, MD. Marine Recreational Sport Fishing Is Being Economically Decapitated By NOAA’s Forced Use Of MRIP Catch Statistics. Recreational fishers have long complained about the accuracy of NOAA’s recreational catch estimates through MRIP. Errors in this new system are incredibly more huge than in the previous system, MRFSS. By ALWAYS & FOREVER finding overfishing—the taking of more fish than quota allows—NOAA always & forever sees further need to restrict recreational catch. With such as MRIP’s assertion NY Shore Fishers average size sea bass in 2016 was 3 pounds--& this assertion is nothing short of insanity: They close season. They raise size limits. They reduce bag limits. All of which has knocked the economic vitality from fisheries, no matter how clearly on the mend. Yes, in some purely statistical examination even the NAS is OK with MRIP – It’s just that the estimates are WRONG!! Then too, those in the regulatory chain of command will respond: “Of course estimates have errors at wave/mode/state levels. They become much better as they are grouped into regions & over longer periods of time. AND AS SOON AS THEY TELL YOU THAT, back to business as usual. State by State & two month ‘wave’ estimates are at the absolute heart of US Fisheries Regulation – any assertion otherwise is a lie. How bad is it? Black sea bass, for instance, are thought to be at nearly an all-time historical high in population – but because NOAA policy (POLICY!) forces Councils/Commissions to regulate with MRIP rec catch estimates as-is, and with NO corrections based either on hard data or common sense, recreational access to sea bass is at its lowest in history – and the fishery of the least economic value in history. I assure you Sir, we fishers were FAR BETTER OFF with our self-regulation in the early 1990s than this mess today. With every new set of catch estimates, the possibility of a complete closure for many species looms larger. Please Help! Help Change NOAA’s Policy Where regulators “MUST USE” MRIP.